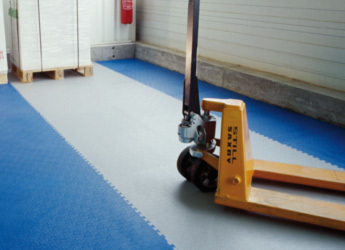 We are an Irish owned company servicing the Irish market in Commercial Flooring. Vincent Dooley the founder of Floor.ie started in the flooring industry in 1987 as a Professional Carpet Fitter, and quickly moved up the ladder gaining experience in all types of flooring ranging from Broadloom Carpets, Carpet Tiles, Sheet Vinyl, Safety Flooring, Whiterock PVC Hygienic Wall Cladding, Marmoleum, Sports Flooring, Sub-floor Preparation, Liquid Damp Proof Membranes, Soundproofing and Fast Track interlocking tiles etc. we have worked in many well know companies and local authorities like: Odeon Cinemas, Beaumont Hospital, Eye & Ear Hospital, Allied Foods, BBam Aviation, Brakes, Boortmalt, Bank of Ireland, Credit Unions, Local Schools, DCU, Maynooth College, UCD, Dublin Castle, Youth Reach, Cara Housing, Starbucks, Costa Coffee, Nourish, to name but a few. Floor.ie has worked hard to ensure our clients have a dependable flooring provider delivering on quality and service, We have also gained trust with our existing clients through delivering “On Time On Budget Every Time” the majority of our new business is from referrals and I think that speaks for itself! Floor.ie have a vast array of experience in Commercial Flooring, Part of our service is a free onsite survey which includes specifying the right products and designing the layout that will enhance your specific needs, durability is a major factor when choosing a new floor and with our experience Floor.ie can advise on the right solution to give many years of hassle free Flooring and we will also guarantee your new floor will be installed by professional Flooring Contractors! 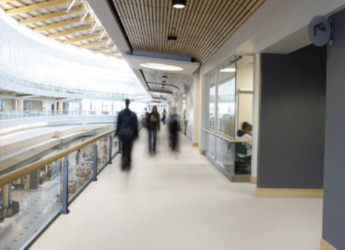 Floor.ie has completed many projects for Local Schools, Sports Halls, Banks, Colleges, Restaurants; Pharmacy’s and are recommended suppliers for: Marmoleum, Altro, Gerflor, Forbo Tessera, Amtico, Interface, Burmatex, Desso, Karndean, Navan Carpets, Ulster Carpets and Munster Carpets. Fast Track interlocking Tiles can be easily replaced if one was ever to get damaged which will ensure a lifetime of durability, Gerflor have three ranges to choose from: GTI Uni – GTI Max Décor – GTI Pure Décor and we can also offer other types depending on your pacific requirements. Please feel free to contact Floor.ie for any advice when trying to choose the right product,we offer a free onsite survey.